« The RoboGames are back! 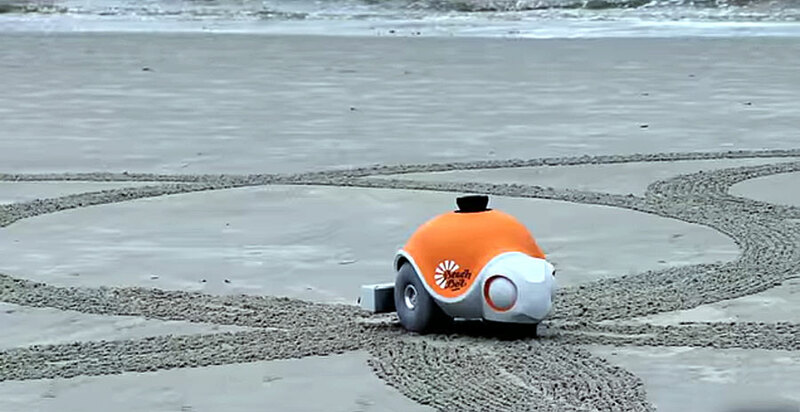 Disney’s Beachbot, designed at ETH Zurich’s Autonomous Systems Lab, is a seemingly simple robot turtle that combs impressively large images into damp sand. They claim to want to make large scale images on the earth at the scale of the Nazca lines! Imagine what you could create with a RobotGeek Rover! This entry was posted on Monday, April 13th, 2015 at 9:00 am	and is filed under Fun Stuff, Misc. You can follow any responses to this entry through the RSS 2.0 feed. You can leave a response, or trackback from your own site.